extract this compressed file to a position like /opt, it has its own python2.7 and most not-so-common dependent packages Do read the readme to check if you have installed all the essential packages. run the program in a terminal (to catch output/error message) /path_to/salome.py which set env var. The operation within GUI can be recorded into python script by “File-> dump study”, this saved python script can be loaded later, or adapted for used in batch mode. variale can only be simple math expression, math.pi math.sin() are not supported. meshio-convert (from meshio package) can translate the salome Med format into dolfin format, however, it seems boundary and subdomains are not converted. In Salome-mesh export, Med version should select the lowest, however, gmsh may still complain the med lib version is too high. I use the gmsh 4 to read the med mesh sucessfully. This is my presentation for OpenFOAM workshop 13 presentation, unfortunately, I can not attend the workshop in person. Limited by my time I can spend on this open source project, I will will make new feature in about half year, but maintain CFD module working with Stable FreeCAD release. This solver is data driven (json), instead of programming for every case. It is still in early stage, I would pick up advice from community, especially standardization of json input data format, naming. 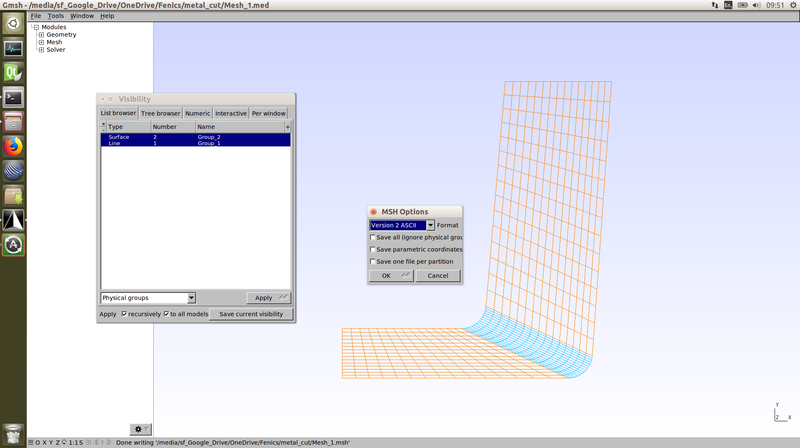 It is primarily used as a submodule for my CFD workbench for FreeCAD, giving GUI for boundary selection. I think a GUI for boundary selection is crucial for complicate geometry. I also use it for other projects with maximum code re-usage. My future plan will be integrate Fenics with OpenFOAM which is quite advanced in multiphase flow and turbulent flow. Recently, my time is very limited without a permanent position in the academia, thus my update and response will be slow. I should attend Fenics 2018 at Oxford to demonstrate some advanced usage. Recently relised visual studio build tool (with cmake support), enables building windows c++ project without GUI. It is essential to accelerate the testing of cross-platform program. It is also possible to push encrypted code to public repo, not tested. JAVA before Java 8 SE does not support unsigned int, even in Java 8 SE you can not declare unsigned int types, but only using static methods, unsigned comparison. There are good reason not to supported it. c++11 smart ptr like shared_ptr<> will not convert to raw ptr! Guru of the Week (GotW) is a series of C++ programming problems created and written by Herb Sutter. it is handy to write one from example CMakeLists.txt online. In your source code folder: md build && cd build && cmake ..
compile visual studio solution/project designed by VS IDE, no corresponding command on Linux. 3. install apk of youtube for Google TV, and also enable USB keyboard in MiBox system setting -> Input. After Anniversary Build (2016 Aug) for x65 windows 10, it is possible to evaluate this beta feature in developer mode without upgrade to claimed unstable insider version. Xwindows has been explored by geeks, but it is not stable/usable to run GUI app. After fireup bash, the current path is /mnt/c/Windwos/System32 . It is better to “cd /mnt/c//Documents/” at the end of .bashrc, not mess up system folder and for better locate file generated by bash commands. – dpkg -l to see installed package, while not sure snap pkg will be supported. It may be used to easily run software previously POSIX only program on windows. 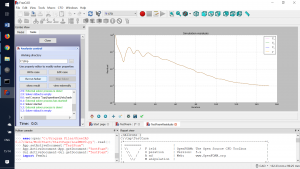 OpenMPI may not work; ParaView is definetly not working. install openfoam4 by force, will not install all paraview related tons of new packages. lxrun.exe is used to manage WSL. This command can be used to install or uninstall the Ubuntu image. copy the following into notepad and save as “diasableIMEHotkey.reg” to anywhere in your PC. right click “merge” will import them into registry. I got a 5 year old laptop, it does not boot, no screen show, no beeping. So I need to disassemble and check. 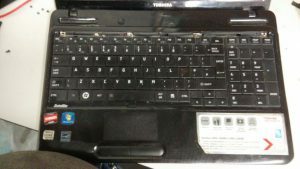 Generally, this laptop is easy to repalce harddisk or memory on the back. And the dissabling is straight forwards. XML context: attributes calibration data, scale, etc. read_raw() from register (possible 12bit) to integer in memory. NO integer to physical quantity (with unit) like comedilib? iio_triggered_buffer iio_events only found in kernel mode iio_core, see(linux/iio/triggered_buffer.h);trigger are software trigger, not hardware TTL signal in DAQ terminology? About 200 device drivers by the time of kernel 4.4; many drivers supports a varierty of models. user space tool to expose sensors to webUI? devicetree: platform device support is supported such as beaglebone. possiblity of user space driver development based on user space SPI, i2c and libusb?